The January Talks and Walks series are now full, please check in later for our next upcoming events. The Klamath Bird Observatory’s popular Talks and Walks series will continue into January. The Talks will be held on a Thursday evening at the KBO headquarters followed by the Walk on Saturday. 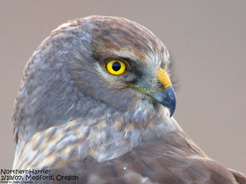 January is a great time of year to see raptors and with the Klamath Basin hosting some of the densest concentration of wintering raptors in the country you will not want to miss this opportunity. To register contact Shannon Rio at Shannonrio@aol.com, registration fee is $25 for the classroom session and the field trip. Spend a day in the Klamath Basin seeing and learning about hawks, eagles,falcons, and any other birds that happen in to our binoculars. 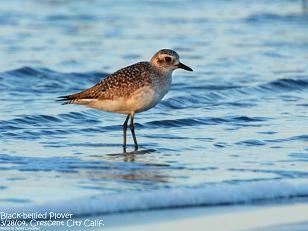 Calling All Shorebird Enthusiasts and Citizen Scientists! The Pacific Flyway Shorebird Survey (PFSS) is looking for citizen science volunteers to conduct shorebird surveys in Coos Bay, Oregon! The survey will take place January 13th, 2016. The Pacific Flyway Shorebird Survey is a multi-partner project, led by Point Blue Conservation Science; the survey depends on citizen science effort to help protect shorebirds and wetlands all the way from Canada to Mexico. This year Klamath Bird Observatory is assisting with the coordination of surveys at Coos Bay, Oregon. 2. Scouting: Become familiar with your site; make sure you know the access points and how long it will take to cover the area. 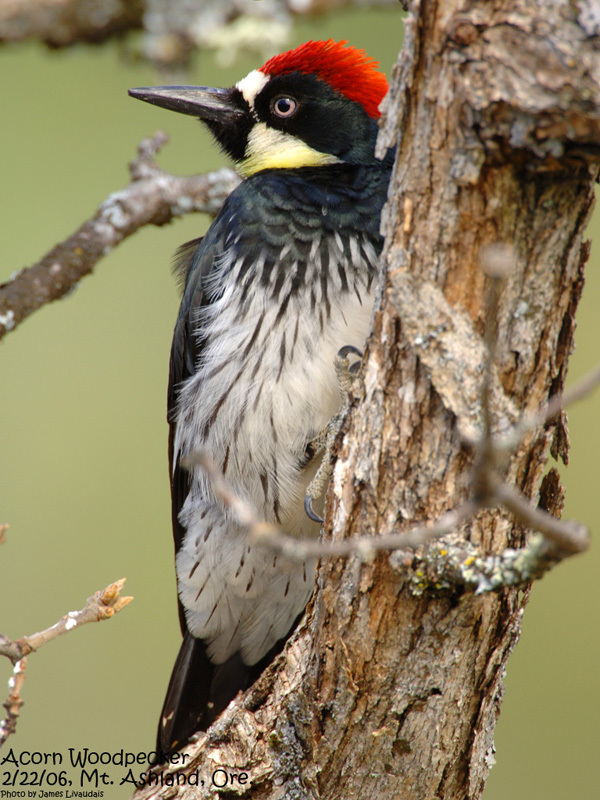 4.Data Entry: Surveyors will enter their data online into the California Avian Data Center. Interested in learning more about the diverse birds of the Klamath-Siskiyou region this fall? 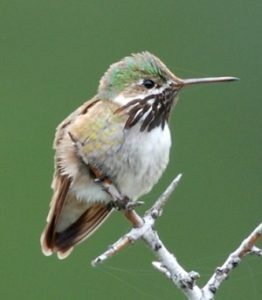 Klamath Bird Observatory Board Members and friends are offering lectures and classes on topics ranging from birds and climate change to attracting and feeding birds in your yard. Don’t forget to mark your calendars for a lecture or sign up for a class. 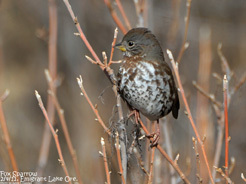 Klamath Bird Observatory and the 2015 Mountain Bird Festival welcome three featured artists – Dan Elster, Katrina Elise Meister, and Stefan Savides. These artists, all from the Klamath-Siskiyou Bioregion, will be setting up galleries during this year’s Friday (May 29) and Saturday (May 30) Mountain Bird Festival socials from 5:00pm to 7:00pm at ScienceWorks Hands-on Museum in Ashland, Oregon. These generous artists are donating a portion of gallery sales to support Klamath Bird Observatory’s efforts to advance bird and habitat conservation through science, education, and partnerships. 2015 Mountain Bird Festival Art Galleries, open to the public, Friday (May 29) and Saturday (May 30), 5:00pm to 7:00pm, at SceinceWorks Hands on Museum. Dan was born in Chicago, 1971. In his old life he was the manager of his brother’s food distribution business on the west side of Chicago. A few years ago Dan and his wife (Patty) took a leap of faith … they quit their jobs, sold their home and hit the road. Patty took a job as a travel nurse, while Dan pursued a dream career in wildlife photography. 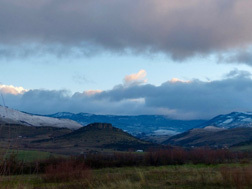 After a few years of nomadic living, they now call Ashland, Oregon home. While Dan has always loved wildlife, he never had much interest in photography growing up. He is mostly self-taught. His subjects are completely wild (no captive or “staged” shots) and it’s important to him that people know that. Capturing behavior and the inclusion of habitat also helps to define his style. It’s the drama in nature that inspires Dan. In the wild every day is a struggle to survive. This is the story he aims to tell. Dan also hopes his work serves as a reminder that we don’t own the earth, we share it. Click here to learn more about Dan. Katrina has been drawing as long as she can remember. She paints with watercolors, oil paints, acrylics, pen and ink, and block prints. Most of her work ends up on Katrina’s Cards and Gifts, her popular line of note cards and gift items. A sixth generation Oregonian, Katrina received a Bachelor of Fine Arts and a Bachelors of Psychology from the University of Oregon, as well at receiving a degree from the U of O Honors College. Her paintings have exhibited in galleries and corporate offices and many regional art festivals. Katrina’s Cards and Gifts are available in select stores throughout the Northwest. Her work is in several private and corporate collections. She lives with her husband Michael, and their two children in Southern Oregon. Click here to learn more about Katrina. Stefan has made birds his passion, and he has followed that passion from day one. His avian taxidermy has earned him an international reputation; however this multi-talented artist has painted, carved, raised and sculpted birds throughout his life. Sculpting in bronze is a natural progression from taxidermy as it provides Savides a lasting medium in which to express his knowledge of avian anatomy and design. A lifetime of study, coupled with the quest for simplistic design, has lead Savides to sculpt in a manner that captures the essence of his subjects without distracting detail. He is truly a multi-talented artist who has proven himself in a variety of mediums. Savides is an elected member of the National Sculpture society and a signature member of the Society of Animal Artists. Click here to learn more about Stefan. In our fast-paced world, birds serve as an unrivaled window for studying and assessing environmental change: literal canaries in coal mines. eBird is a network of human observers spread across the planet collecting millions of data points each month, combined with the power of remote sensors that collect real-time environmental data, spun together through innovative computer science and modeling efforts that ultimately achieve real-world conservation outcomes for birds. 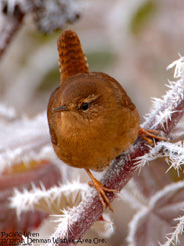 Today eBird is arguably the fastest-growing biodiversity network in existence. Find out how we’ve taken a novel approach to crowdsourcing, and turned the birding community’s global passion for birds into a vast data resource for science and conservation. 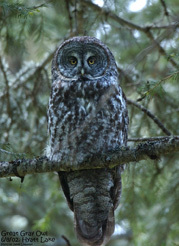 Brian Sullivan has conducted fieldwork on birds throughout North America for the past 20 years. Birding travels, photography, and field projects have taken him to Central and South America, to Antarctica, the Arctic and across North America. 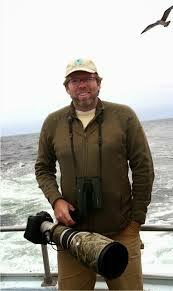 He has written and consulted on various books, popular, and scientific literature on North American birds, and is a co-author on The Crossley ID Guide: Raptors, and the forthcoming Princeton Guide to North American Birds. 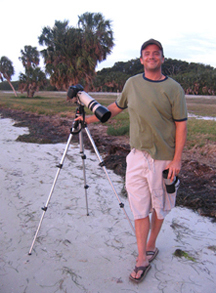 He is currently project leader for eBird (www.ebird.org) and photographic editor for the Birds of North America Online at the Cornell Laboratory of Ornithology. 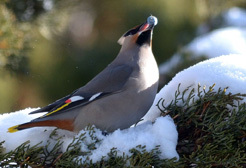 He also served as photographic editor for the American Birding Association’s journal North American Birds from 2005-2013. 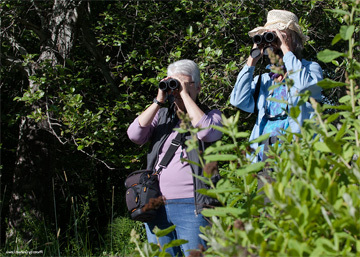 Klamath Bird Observatory’s Talks and Walks program is growing in popularity! 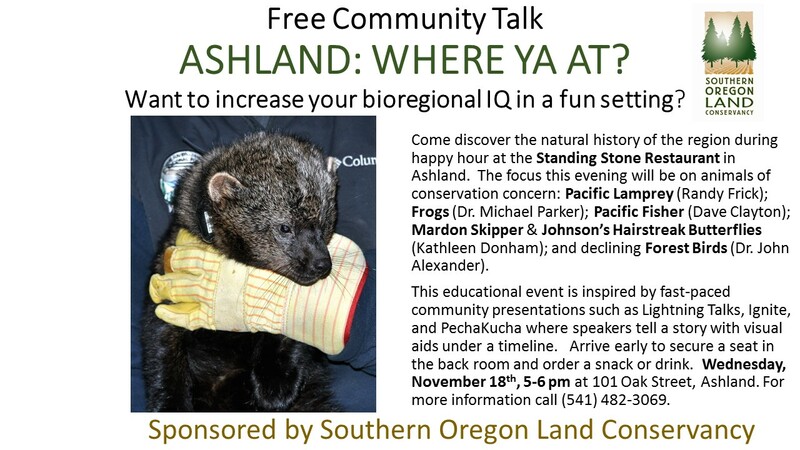 This Board directed program invites community members to visit our headquarters in Ashland where you will learn about birds in the Klamath-Siskiyou Bioregion. Then, participants venture into the field to experience firsthand the birds that are the focus of Klamath Bird Observatory’s science-based conservation efforts. The program is getting lots of attention. A recent article in the Medford Mail Tribune’s Outdoor Journal section featured the program – click here to read that article. The program was also discussed during an interview with Board President Harry Fuller on Jefferson Public Radio’s Jefferson Exchange – click here to listen. And don’t forget to sign up for this spring’s last Talk and Walk program! 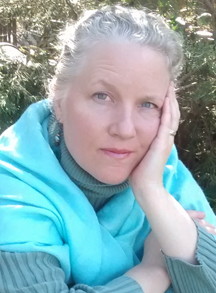 Laura Fleming is opening Wild Birds Unlimited in Medford this spring. The “Walk” for this event will be an invitation to visit Wild Birds Unlimited at its new location plus a gift certificate offering a discount on purchases. $25 fee is for both Talk and Walk. Contact shannonrio@aol.com to sign up.